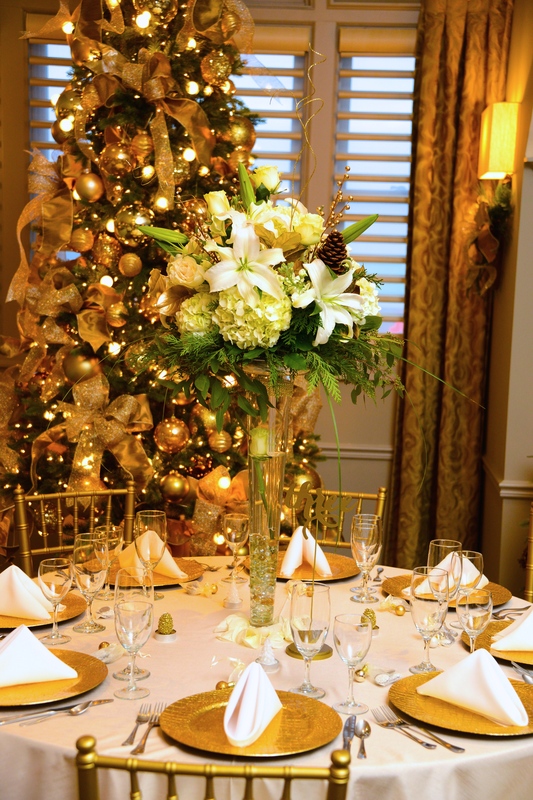 You don’t want to miss out on your perfect holiday party venue! Narrow your options down to two or three party venues. Make sure to check their date availability as soon as possible and arrange to take a tour. When you have your tour, be ready to make a decision soon after. Remember that a deposit is usually required to hold the date at most rental venues. After booking your venue and solidifying your date, ask your venue contact if he/she has any catering recommendations. If so, that’s a great place to start. If not, visit our Barrington’s White House Partners page (link http://www.barringtonswhitehouse.com/barrington-white-house-approved-vendors) to learn about some of our favorite local caterers. At Barrington’s White House, we decorate our mansion with gorgeous holiday decorations, with festive garland on the staircase railings, and a Christmas tree both in the parlor and on the third floor. Our color scheme focuses on golds and greens. Others may stick to reds and greens, silvers and golds, or other festive combinations. If you are looking for a space without any holiday décor, definitely make that clear when you call about booking a tour. There are many choices to make your tables look cheerful and festive. 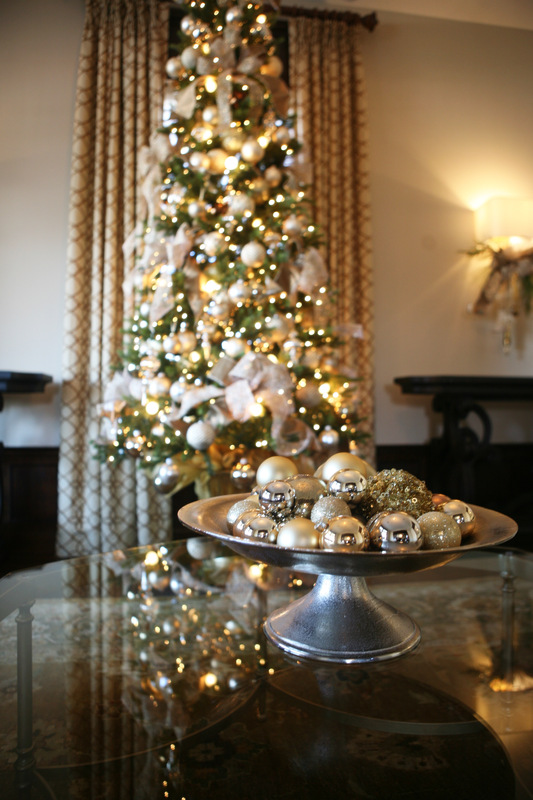 Contact a rental company to learn more about the colors and textures that make the season bright. 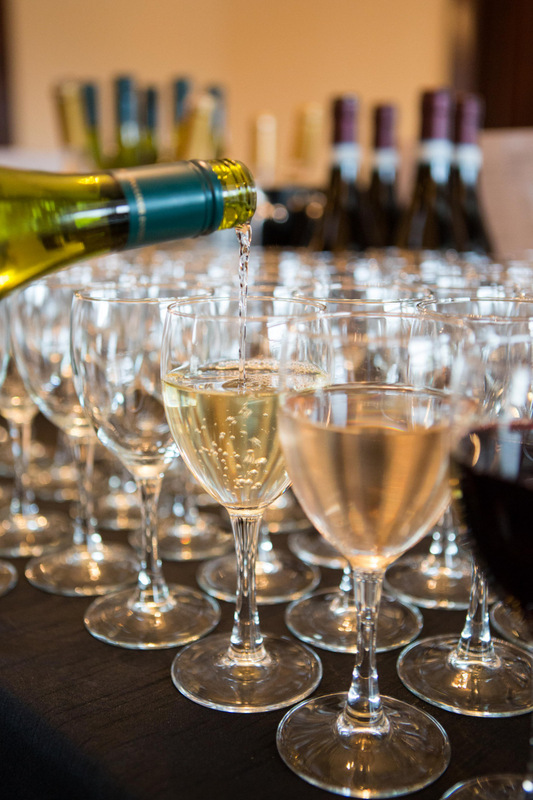 A little bit of merry can go a long way in sprucing up a party venue with minimal décor. Also consider layering linens. Perhaps a white linen would be a beautiful and cost effective option, but spice it up with sparkling gold table runners. Red poinsettias would make quite a statement and finish off the table in a festive way with a conscious budget. Holiday drinks don’t have to bust the budget. Consider a wine and beer option with a specialty signature drink. Some of our favorite holiday drinks include mulled wine, hot buttered rum, a cranberry ginger mule or cranberry mimosa, or a delicious hot toddy. Finish the night with a hot chocolate and bailey’s bar. Looking for something a little more unique? Consider a specialty cocktail designed just for your organization. Imagine guests imbibing in the “ACME Stress-Reliever” or the “ABC Company Holiday Bonus”. It will put some extra cheer in your holiday celebration. As you plan your amazing holiday party, be sure to start putting together fun and festive ideas on décor, food, drinks, entertainment and more. But really there’s time for the details. Make sure you get those reservations in right away – time will fly by fast! 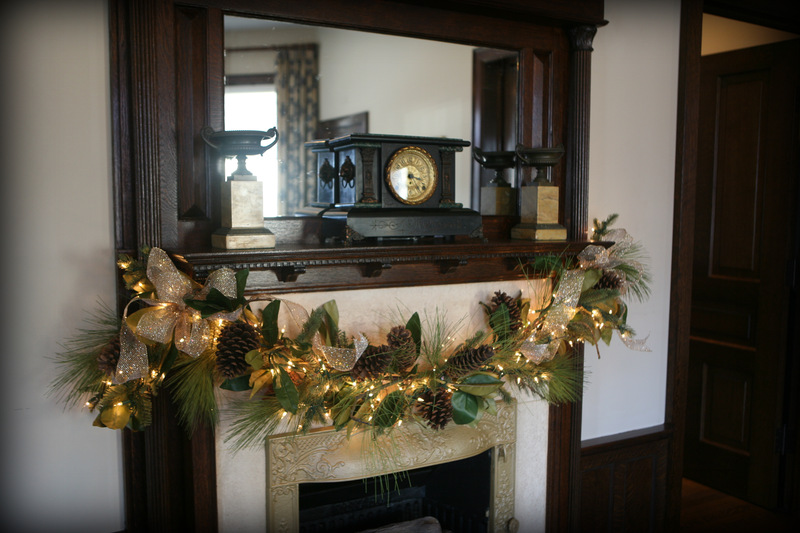 Interested in hosting your next holiday party at Barrington’s White House? We’d love to take you on a tour of our beautiful historic mansion venue. Please contact us at events@barringtonswhitehouse.com or call 224.512.4292. Barrington’s White House is a unique wedding venue and event venue located in the heart of downtown Barrington at 145 West Main Street. This meticulously restored 1898 mansion hosts cultural and community events, and is also available for rental for weddings, corporate meetings, non-profit fundraisers and family celebrations. For more information you may contact Barrington’s White House here.